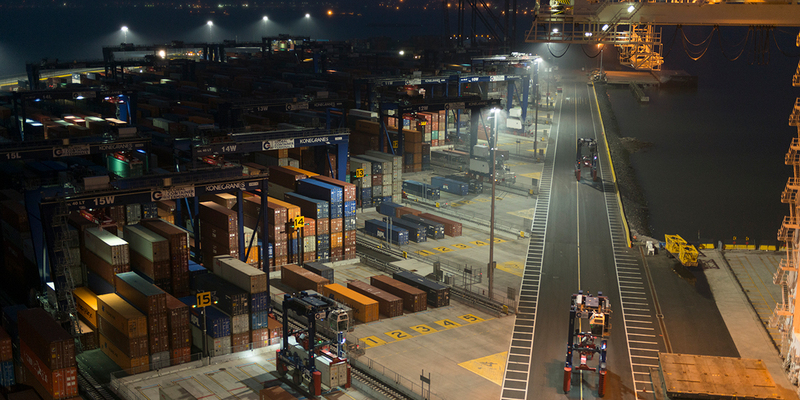 As one of the busiest facilities of its kind in the United States, the Global Container Terminal in Jersey City, New Jersey features 100 acres of lighted property. 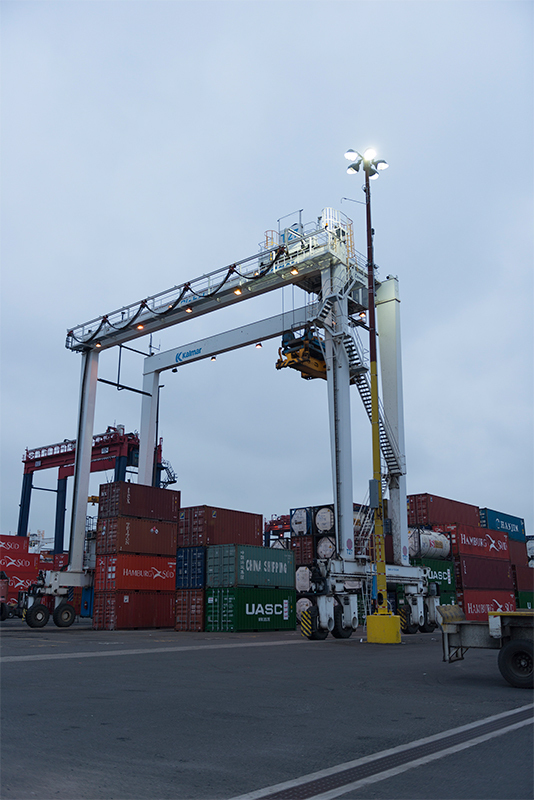 When officials at the terminal decided to replace the existing lighting, they needed a solution that would help provide a safer environment for workers, reduce operating costs, and not interfere with the Manhattan skyline. 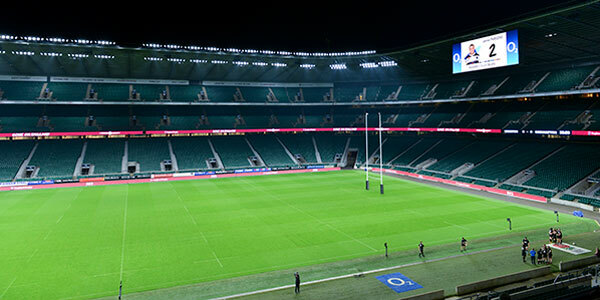 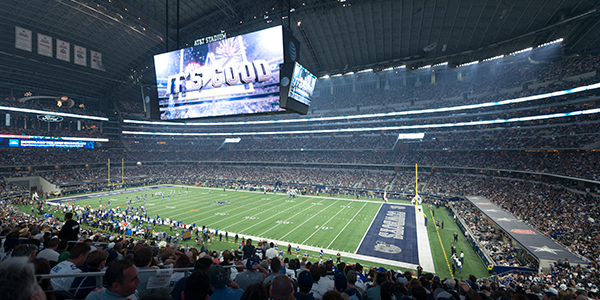 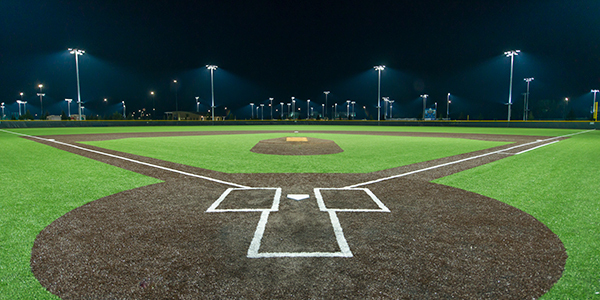 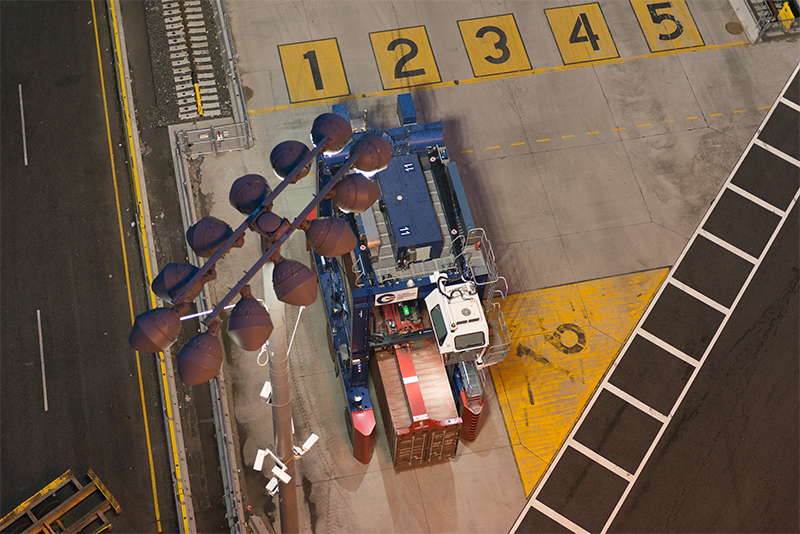 Musco designed a custom solution with its Green Generation Lighting® system mounted onto existing poles at the terminal. 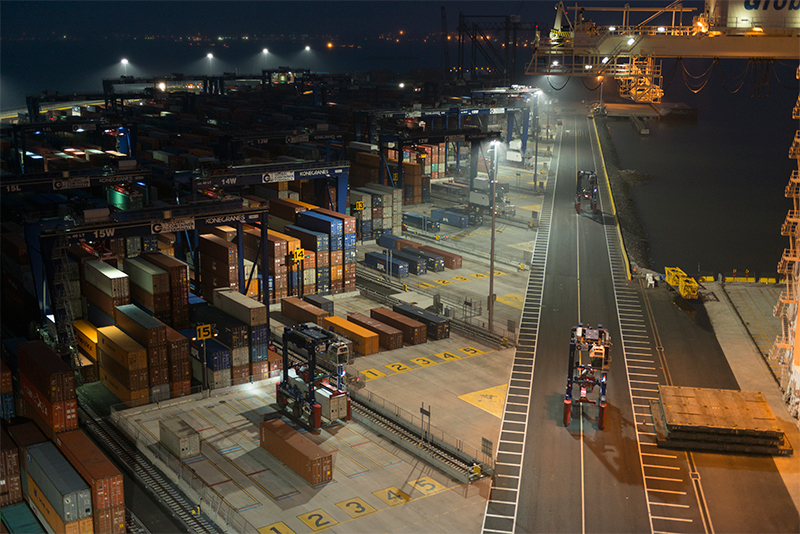 With Musco's advanced reflector design, the luminaries were strategically aimed to ensure that the loading and unloading areas at the Global Container Terminal had the proper light levels for 24/7 operations, while reducing spill light and glare in other areas. 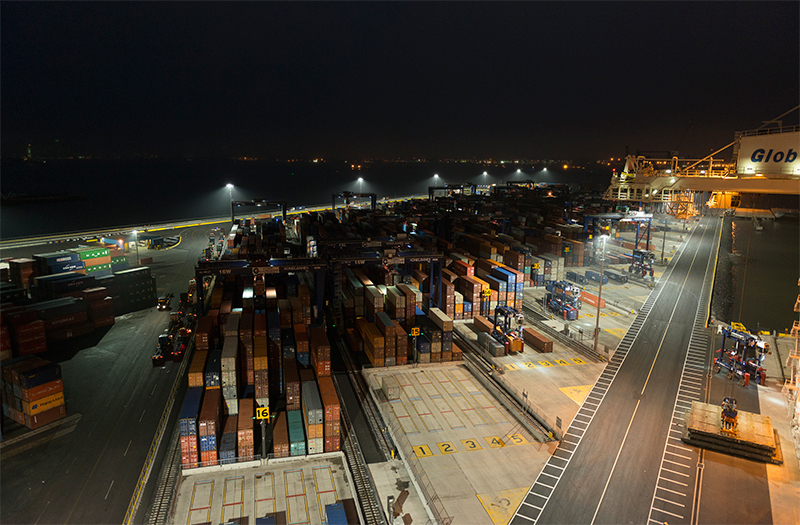 Global Container Terminal reduced its energy consumption by 57 percent compared to typical metal halide lights and eliminated maintenance costs for 10 years with Musco's comprehensive warranty..